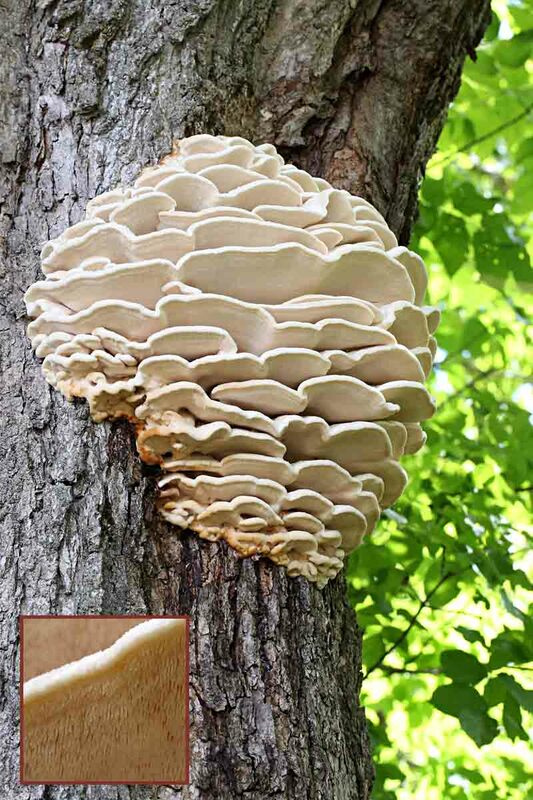 Northern Tooth Fungus, Climacodon septentrionale, is an unusual combination of both a shelf (also called bracket) fungus as well as a toothed fungus. Typically a shelf fungus produces spores inside pores located on its underside. Northern Tooth Fungus, however, produces spores on pendant, spine- or tooth-like projections on its underside (see insert). This fungus usually has several tiers of “shelves” that grow in tight, thick layers, and change from white to light tan as they age.